The world is always full of celebrations—whether it’s to celebrate the declaration of independence or a day to show your pets how much they rule your world. Some days, we have celebrations just to send some hugs and kisses. July 6 marks the World Kiss Day, and it’s right around the corner, meeting you with a smack on the lips. If you can’t give your loved ones a kiss in person, there’s still plenty of ways to let them feel the love (thank you, Internet!). For those who wish they could mail their kisses to friends, family, and lovers, this article is for you. 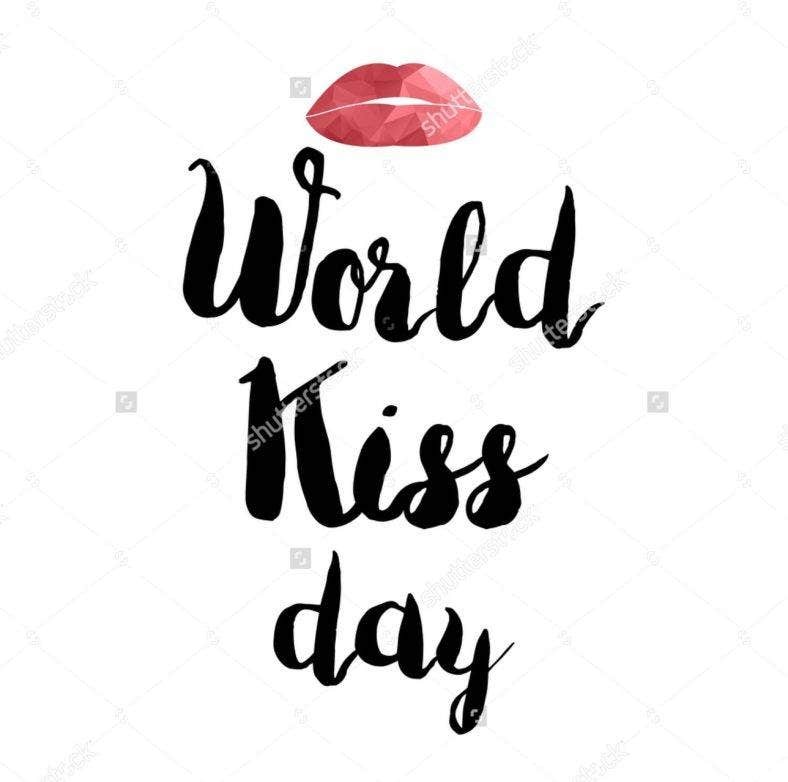 This is also for those who believe World Kiss Day should be celebrated every day. It’s for everyone, basically! Download our kiss vectors and greetings right here. We’ve got free and premium vector designs that are absolutely adorable and of high quality. 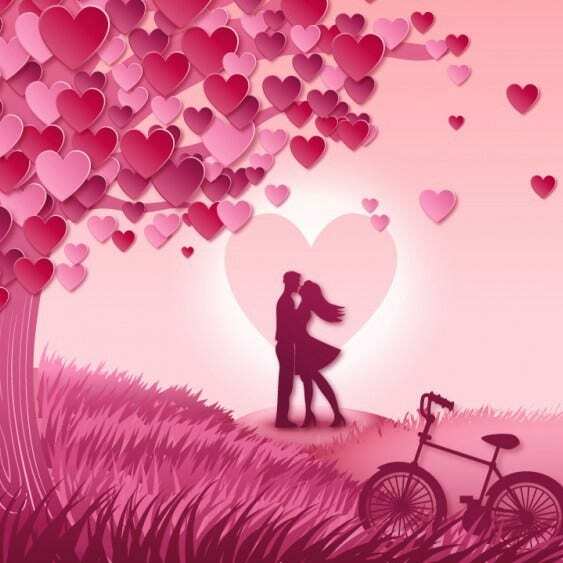 You can use them with your love illustrations and awesome digital patterns. Start downloading! 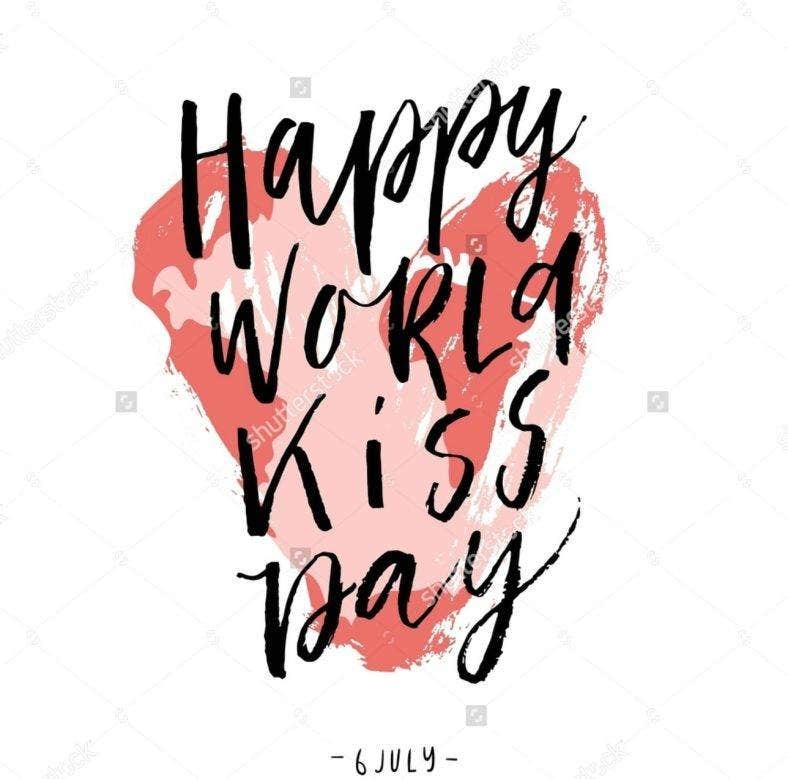 Greet everyone with a simple and charming World Kiss Day greeting with this vector design. 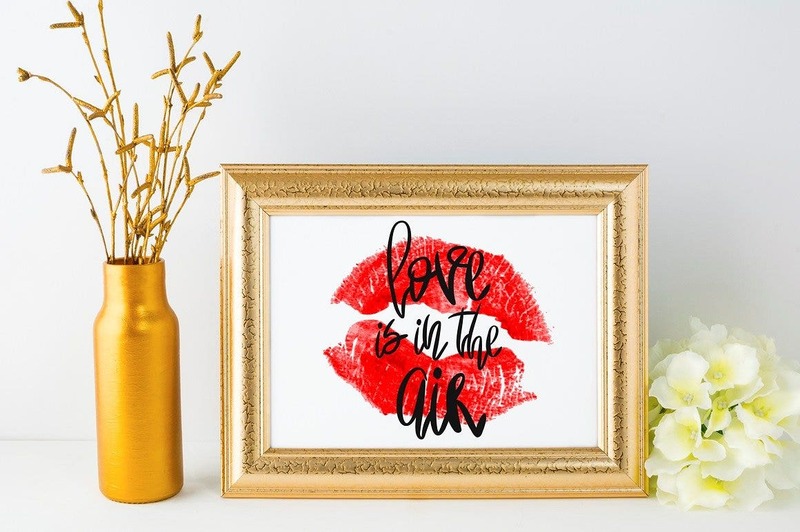 It makes use of a casual script font against an abstract-like hand painted heart. You can easily fuse this design with your personally designed greeting card, or on images for online posting. 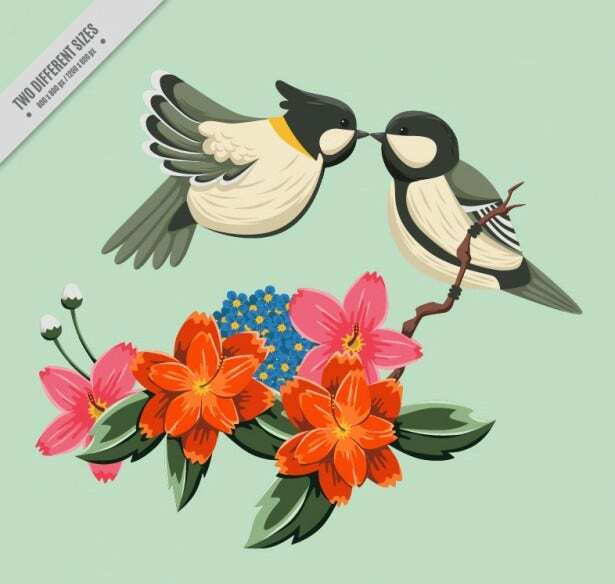 Get this sweet bird vector for World Kiss Day, complete with florals and an adorable couple moment between birds. The Birds Kissing Vector is available and can be freely downloaded for your posters, greeting cards, and more. Typography vectors are also available for the special occasion. 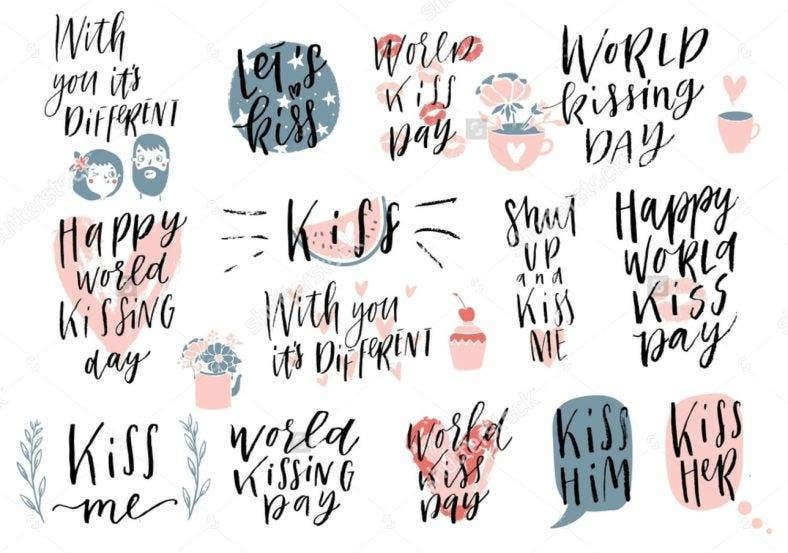 Download the World Kiss Day Typography for fun and charming text designs you can give out to friends, relatives, and loved ones. You can have these printed out as stickers, bookmarks, or label tag designs for artworks and presents. Aside from being a romantic Valentine’s Day vector, this vector design of a couple kissing at the park is a pretty accurate picture of celebrating World Kiss Day right. Download this vector for free, and have your event flyers, online posters, or wall art basking in romance. If you want true retro romance, then this love drawing of a couple kissing in Pop Art is sure to make your day. Download the Pop Art Kiss for a comical and quirky retro World Kiss Day celebration. It’s a unique and bold design piece that’s a pleasure to look at anytime. 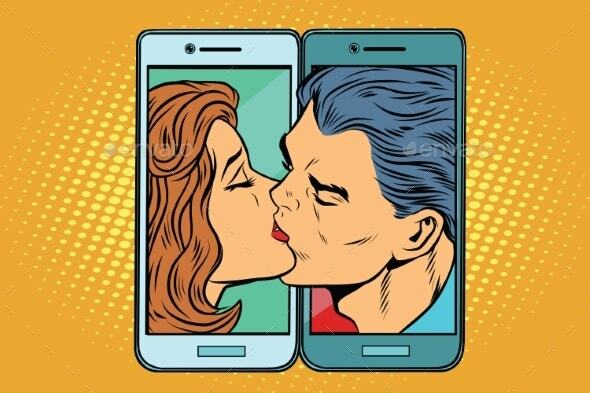 The Smartphone Kiss Pop Art gives us a pretty apt image of what it’s like to have and maintain relationships in the age of technology. 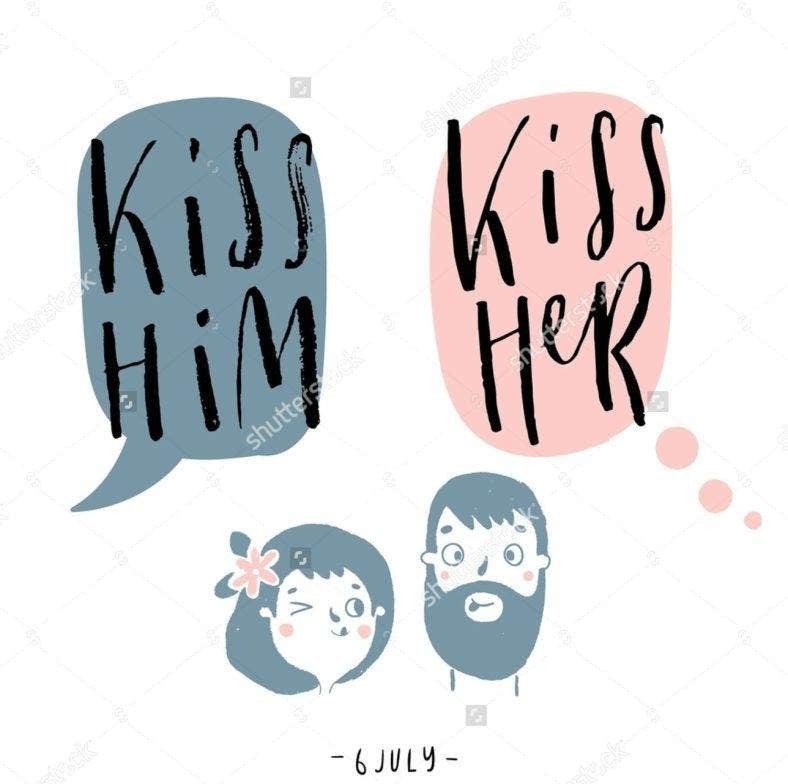 If you and your partner are currently in different locations for World Kiss Day, let him/her know what’s on your mind with this vector design. World Kiss Day is not just about sending out kisses to people you love. You can just as well give out kisses to everything that makes your life so much better—like ice cream! 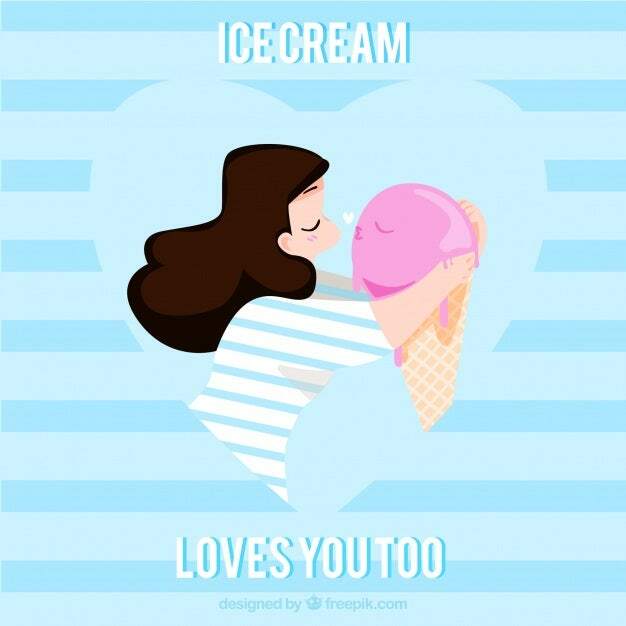 Download this girl vector kissing a cone of ice cream to let people know just how much you love ice cream, and to let them know ice cream is always here to love them back! 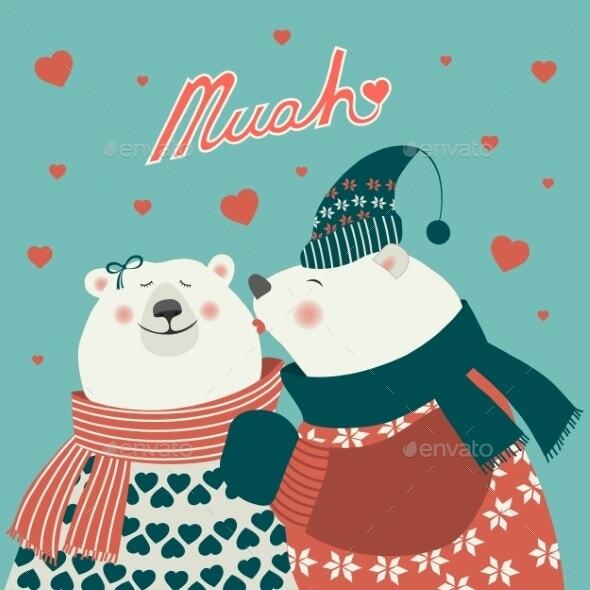 Create awesome love stickers with this Cute Couple Kiss Vector. It’s an adorable illustration of a girl and a boy with thought bubbles encouraging them to kiss each other. Use this vector design for your cards, poster or flyer greeting, and art typography present. If you find animal vectors even more adorable than humans, then this Bear World Kiss Day is sure to be at the top of your list. Get this absolutely charming and homey vector design to put a smile on people’s faces. You can greet your loved ones with this design on your cards or social media posts. 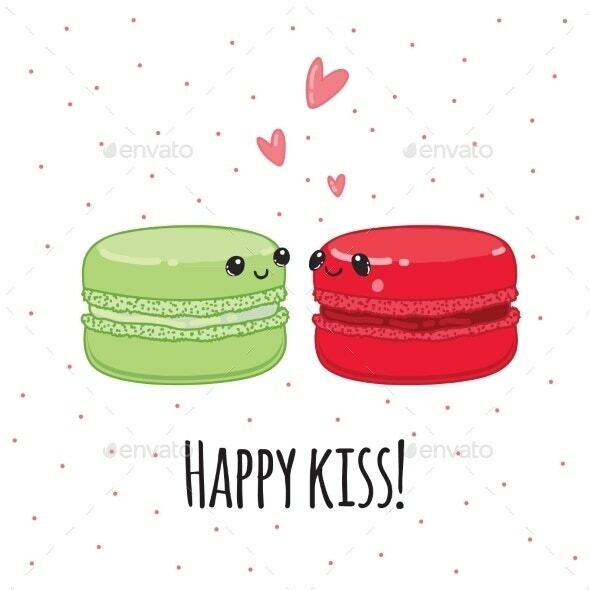 A love icon for keeps, this vector design of cute little macaroons about to kiss is just squeal-worthy. Get this design for your fun event cards, greetings, and invites. They’re pretty easy to edit and customize to fit your designs. Lipstick marks are definitely iconic images for kisses, and in some cases, sexiness. 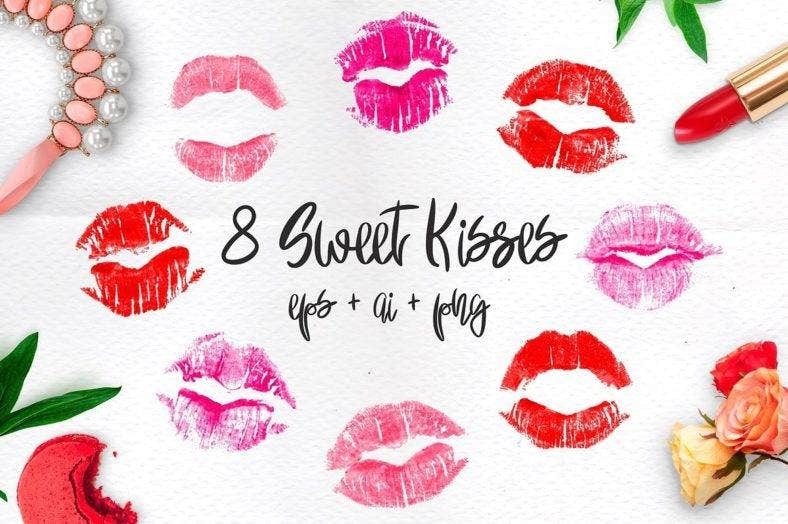 Get this set of Sweet Kisses for awesome and sultry lipstick stain designs for your cards, social media posts, event invites, and more. Each lipstick mark comes in multiple layers for you to customize the intensity of your vector design. Lastly, this simple and sophisticated greeting for World Kiss Day is definite must-have for those who prefer to keep it straightforward. Download this free vector design right here, and seamlessly fit it into your greeting card designs, online posters, and more. Don’t let the day go by without sending someone a kiss! Our premium and free vector designs are readily available for you to download and customize to incorporate your own personality and style. 15+ Human Brain Vectors – EPS, PNG, JPG, SVG Format Download! 12+ Girl Vectors – EPS, PNG, JPG, SVG Format Download!